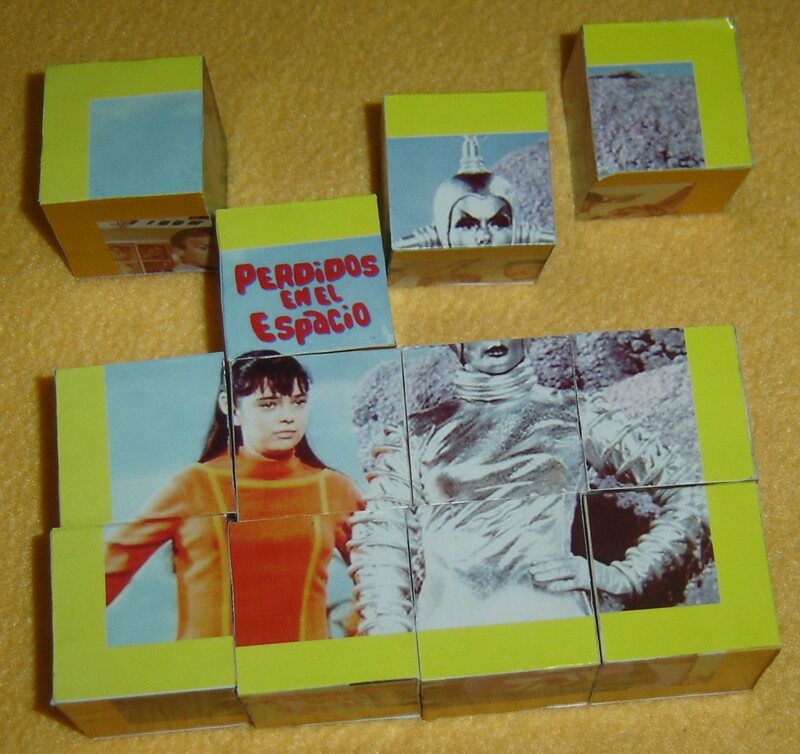 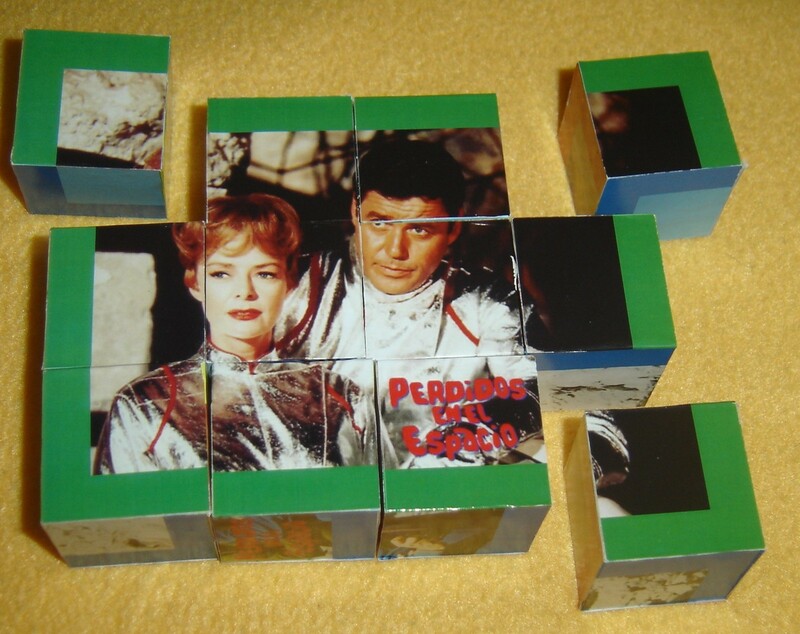 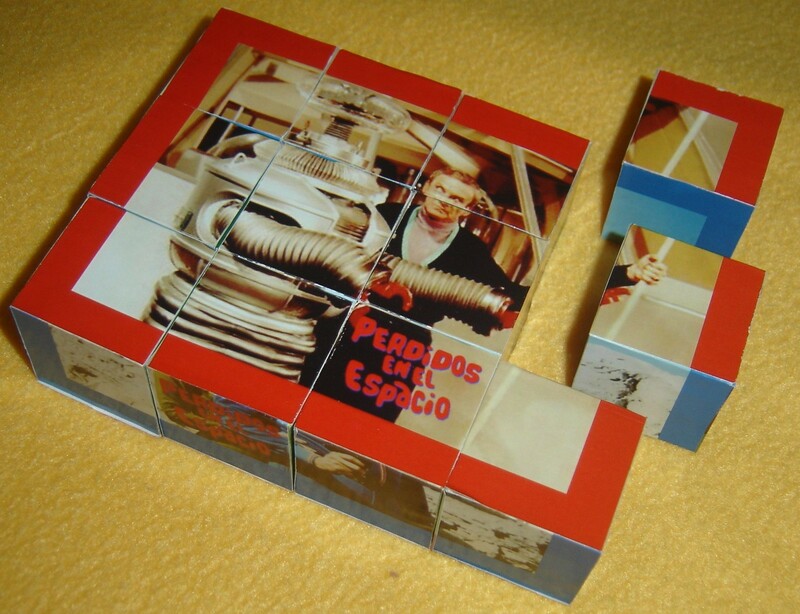 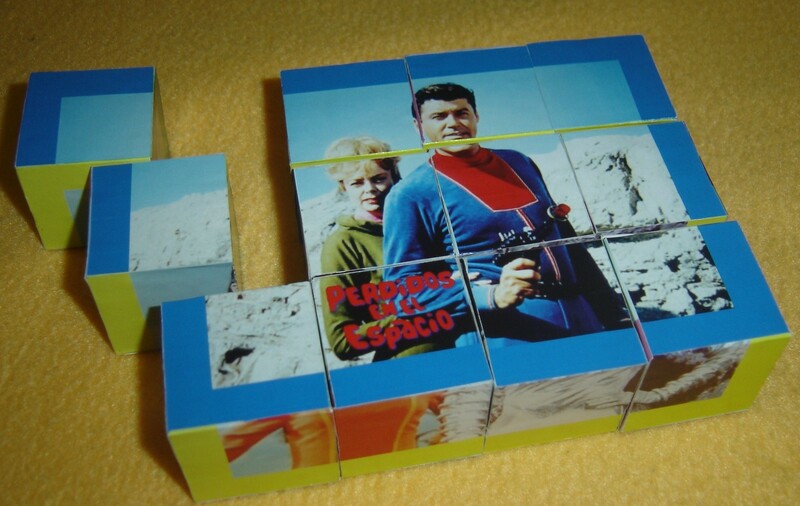 Lost in Space - Perdidos En El Espacio Very rare Cube Puzzles. 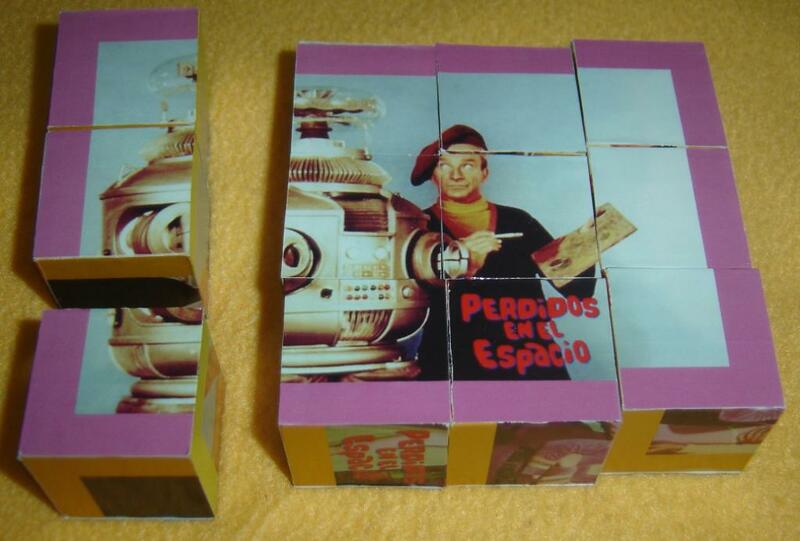 Very scares wood toy jigsaw puzzle, 6 different pictures ready to be ensambled, (each face of the 12 cubes has a part of each puzzle). 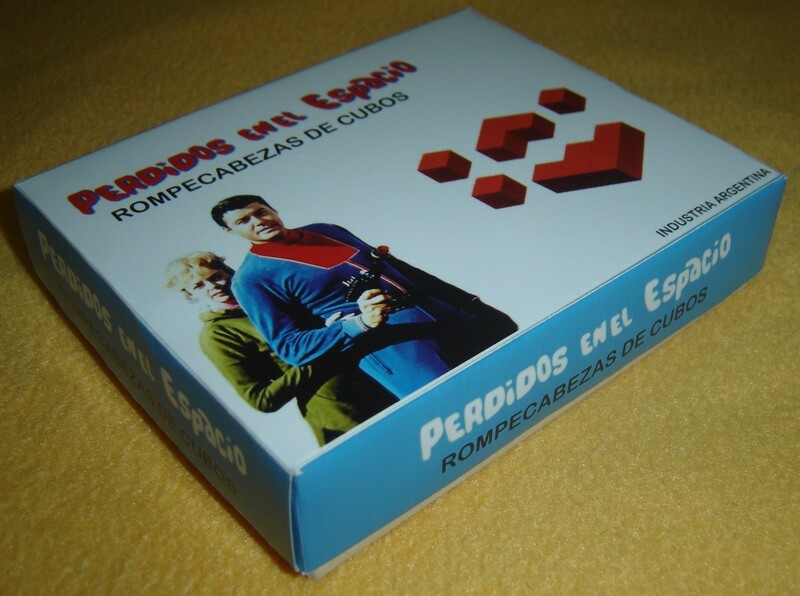 Made in Argentina and never sold outside of there country, and very limited in production. 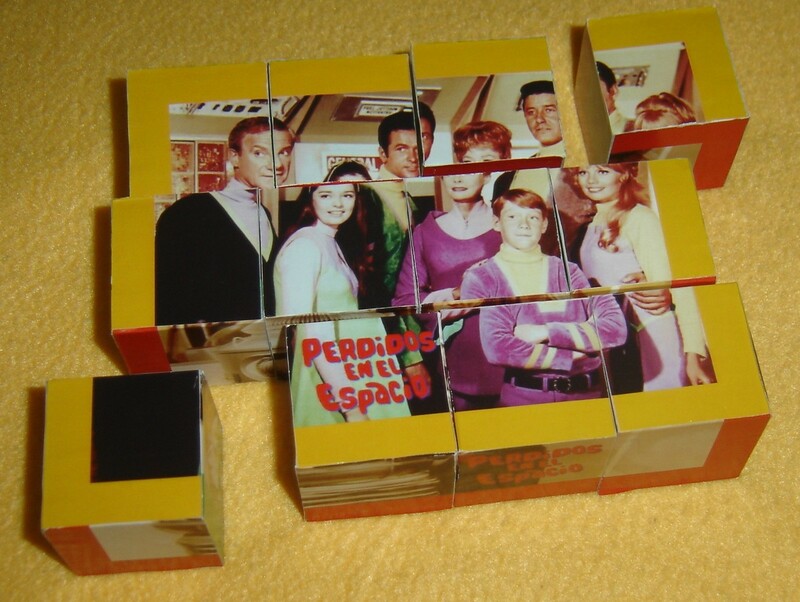 Year produced late 2000's?